This PET plastic bottle with disc top is eight ounces. 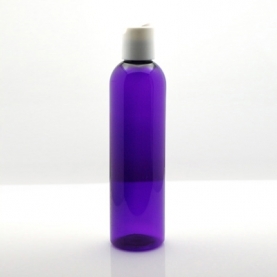 It is fabulous for your favorite essential oil blends in creams, lotions and carrier oil. Great to take on a trip or for just storing your favorite carrier in an easy to manage bottle.